This morning in the STEM Fierceness series, I'd like to highlight an amazing woman doing amazing work with young people. Tanya and I met when we were about 19 years old in our Finite Mathematics class. Little did we know we'd become the best of friends. She was a bridesmaid in my wedding, and we still find ourselves talking math and education to this day. 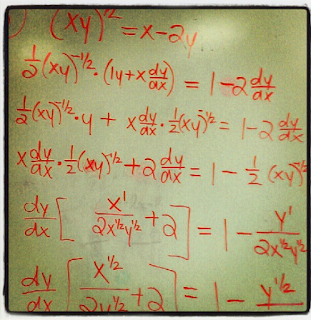 Tanya started teaching AP Calculus a few years ago, and I've watched her grow as a teacher. Best believe if I have a mathematics question, she's one of my first calls! In celebration of Black women in STEM, I asked Tanya if she'd like to be featured on the blog, and she happily obliged. Without further adieu, here's a little about her experiences in mathematics in her own words. Introduce yourself to the readers. 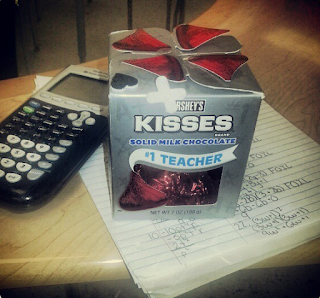 I'm Tanya Hickson, high school mathematics teacher. I teach Algebra II, Precalculus, and AP Calculus. How did you become interested in mathematics? I believe that I have always had a thing for math. I can remember winning the multiplication contests every time in elementary school. I guess you could say I was always pretty good in math through out my primary and secondary education years. 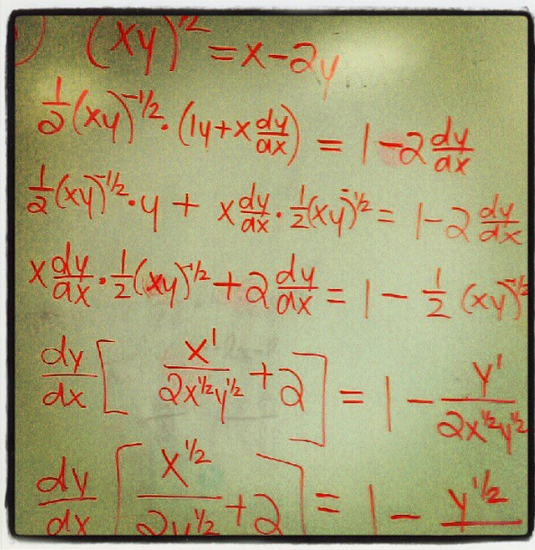 I took this picture of Tanya's classroom board from her Instagram account. This certainly isn't multiplication. Oh goodness! Well, we are on an A/B day block, which means I don't see all of my students everyday. I see some students on "A" days, and I see others on "B" days. I'd say A days are my heaviest days. I go from teaching Algebra 2 , then PreCalculus, then I finish the day off with my only AP Calculus class. My brain is fried by the time I get home. I think that one of the best things about teaching a subject that you love is to see your students have that same passion for the subject as you. I love to see my classes get into a debate about what method was better to solve a certain problem. I also when my students tell me that I have inspired their love for math. Not many of them express this! However, the few that have leave me feeling good. A Valentine's Day gift from one of Tanya's student; how sweet! Have you faced any unique challenges being a Black woman in a STEM field? If so, what are they? 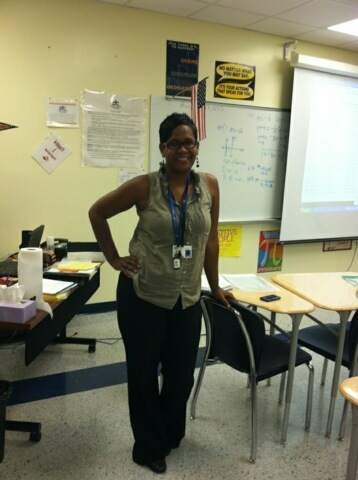 I am one of two black women currently teaching AP Calculus in my district. One of the things I have noticed is how people react to me when they see me enter a meeting room, as if they are surprised. What are your future plans for your career? I see myself working on high school curriculum at the district-level in my school system. What advice do you have for girls who are interested in careers in STEM? Stay the course. Continue to progress in your educational journey. I'm so grateful to Tanya for sharing her experiences is STEM. She's an awesome teacher, and she's touched the lives of so many students from all backgrounds and walks of life. She's definitely giving us STEM fierceness. Until next time. . . go be fierce! STEM Fierceness: (Almost) Dr. G! More STEM Fierceness is on the Way! Nope. We'll Never See Eye-to-Eye, Hubs!